Any food can cause weight gain if you eat enough of it, causing you to consume more calories than you need for your daily activities. If you've recently gained weight, cheese, with its high fat and calorie content, may seem as if it would be the likely culprit. However, cheese consumption doesn't necessarily lead to weight gain when eaten in moderation. Even a small amount of cheese can have a lot of calories. An ounce of goat cheese, which is about the size of 3 dice or your thumb, contains about 128 calories. Other full-fat cheeses, including gouda, Edam, Parmesan, Romano and Roquefort cheese, often contain more than 100 calories per ounce, as well. Cheese is high in energy density, meaning it has a lot of calories per gram. You're more likely to consume too many calories if your diet contains mainly energy-dense foods, such as cheese. Foods low in energy density, such as fruits and vegetables, take up more space in your stomach, so they help you feel full, while eating fewer calories. This makes them a better choice than cheese for losing weight or maintaining a healthy weight. While it's possible that eating cheese could cause weight gain, studies published in "The New England Journal of Medicine" in June 2011 and the "American Journal of Clinical Nutrition" in December 2006 didn't find an association between cheese consumption and weight gain. In fact, the "AJCN" study found that eating moderate amounts of cheese was associated with weight loss. 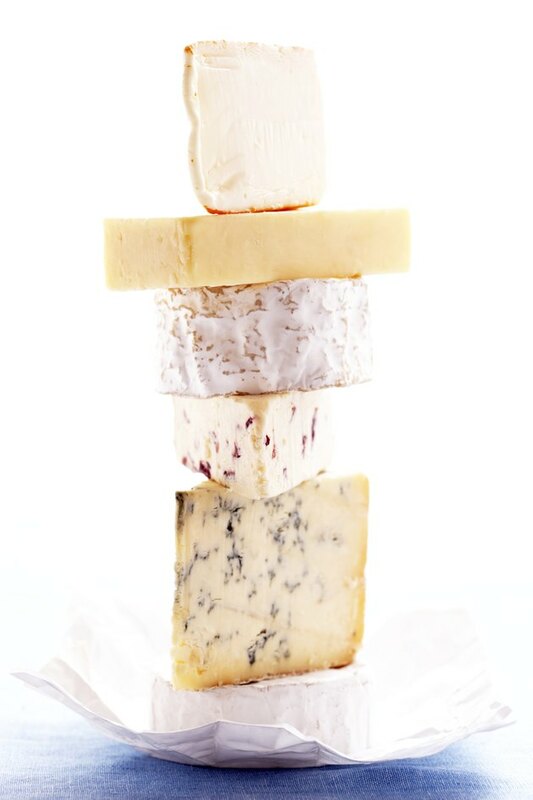 You can make weight gain less likely by eating cheese in moderation and choosing lower-calorie cheeses. Reduced-fat cheese usually has between 60 calories and 80 calories per serving, and choosing nonfat cheeses will reduce the calories to less than 50 calories per serving, making it easier to fit cheese into a healthy diet. If you don't like the taste of reduced-fat cheeses, eat cheese less often, eat smaller servings or choose strongly flavored cheeses, such as Parmesan or blue cheese, that provide a big flavor boost with just a small amount of cheese. Does Cheese Cause High Cholesterol?